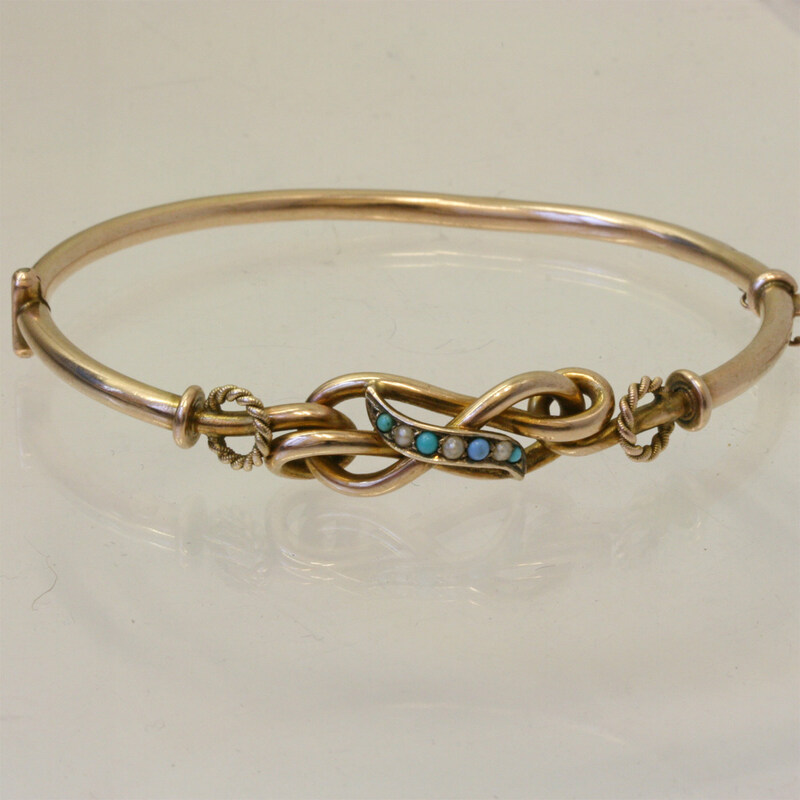 Victorian turquoise and pearl bangle. Product code: 781 Categories: Sold Items, Sold Jewellery. 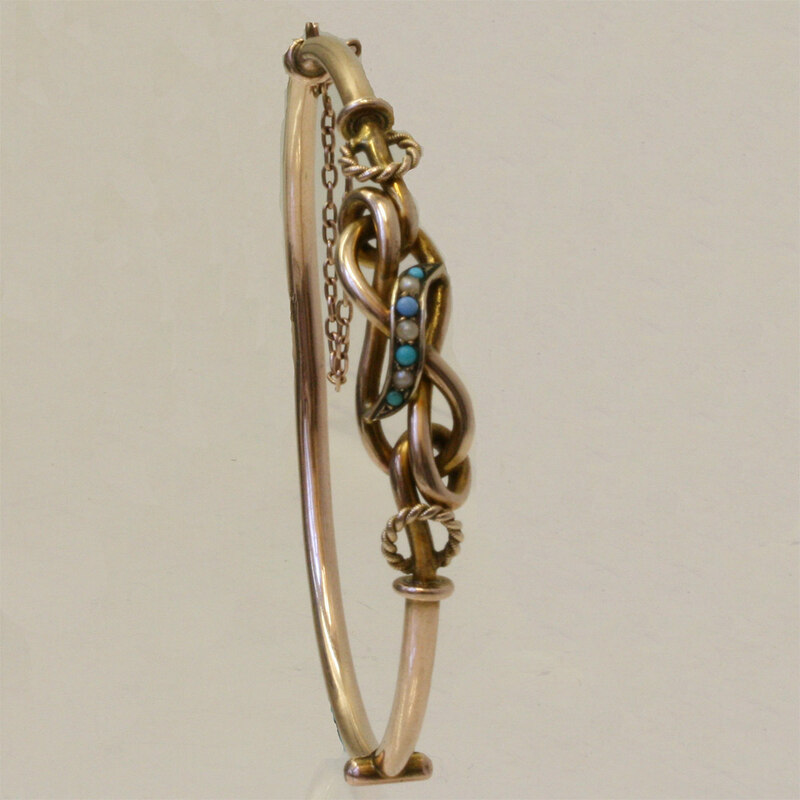 Here is a delightful antique Victorian era hinged bangle dating from the 1890’s, and set with turquoise and seed pearls. The design is just perfect to wear all the time, and the colour of the 9ct rose gold has achieved a patina that only time can create. Being hinged, it sits nice and close to the wrist, and would make a perfect gift for anyone who loves antique jewellery.